Voles, also called meadow mice or field mice, are rodents with small eyes and partially hidden ears. Their underfur is generally dense and covered with thicker, longer guard hairs. There are 23 species of voles in the U.S including the prairie vole, meadow vole, long-tailed vole, woodland vole, Oregon vole and California vole. Voles are active day and night all year-round. They do not hibernate. Voles eat plants, especially grasses and seeds, as well as bark, crops, insects and animal remains. 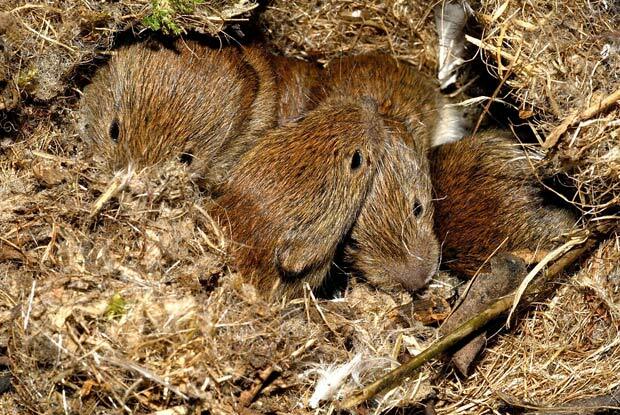 Voles can have between one and five litters per year, with an average of five young in each litter. Vole population levels fluctuate and generally peak every two to five years. Dispersal, food quality, climate, and physiological stress all influence population levels. Voles can cause extensive damage to orchards, tree plantings, and field crops. Voles eat crops and also damage them when they build extensive runway and tunnel systems. Voles also can ruin lawns, golf courses and ground covers. Voles rarely come in contact with humans and therefore pose no major public health hazards; however, they are capable of carrying disease organisms, such as plague and tularemia. Give us a call today at 503.720.8559 to learn more about Voles or to schedule an inspection!